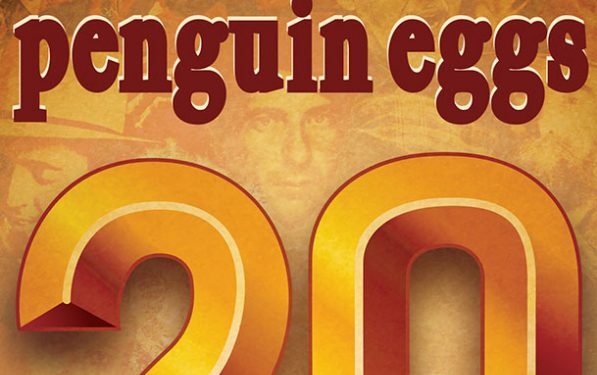 The 20th anniversary edition of Canadian folk magazine Penguin Eggs has been turning up in mailboxes over the past several days, and we reached out to the man behind it, Roddy Campbell, for a quick email chat about the milestone. The Scottish-born Roddy has called Canada home ever since studying at the University of Alberta. He launched Penguin Eggs after realizing he was learning about Canadian folk artists from publications out of the U.K.
Perhaps one of the few magazines to exist online before going to print, instead of the other way around, the magazine celebrates both local and international artists and folk music through interviews, travelogues during festivals and reviews. Some of the notable artists covered are Ten Strings, The Decemberists, and former Rolling Stone Bill Wyman. Here’s what Roddy told us as the issue rolled off the press. RMC: Tell us how you feel about this milestone? 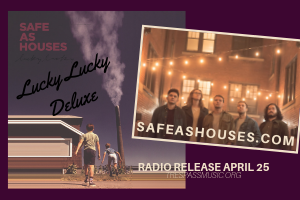 Roddy: Looking back on the various interviews in the past issues, I find myself thinking that there really is a sense of Canadian musical history here, albeit from a minority-interest music. I’m really proud of the fact that we have documented the words of such legendary musicians like the great Cape Breton fiddler Buddy MacMaster and documented the careers of people like David Francey. RMC: Why do you feel Penguin Eggs is still thriving while mainstream media outlets are dropping like flies? Roddy: There are a number of reasons. First of all Penguin Eggs has a full-time staff of one: me. I cover pretty much everything but the writing. I sell the ads, design the magazine, lay it out, take care of subscriptions. We have a pool of 25-30 freelance writers, though, which keeps the features interesting and diverse. We have a marvelous book keeper, Deb Thrall, who keeps me on track financially. And Annemarie Hamilton, our manager, brilliantly applies for our grants. Without the grants, I’m not sure we could survive. 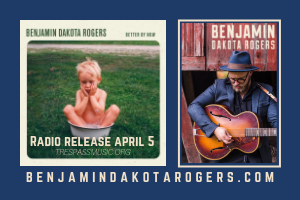 Also, we have some wonderful, loyal advertisers such as Borealis Records, True North Records, Compass Records and The Edmonton Folk Music Festival who have supported the magazine since the outset. RMC: Why the continued focus on print as opposed to online? Roddy: I’ve not developed the skills yet to upgrade the website, and it’s expensive to have others do it. Nor do I have the time. But I do realize it’s important and will make strides towards upgrading our online presence. The other thing is, the dedicated folk fans are of an older generation and would rather read hard copy. RMC: What does the future hold? Roddy: Personally, I want to retire in September 2019 and pass the magazine on to someone who has the drive and a real sense of all aspects of folk music. It would be better if more than one person took it over and split the workload. I think you’d see a shift towards more of an internet presence, then. In the meantime, there are still tweaks in the design I’d like to make and, of course, increase the number of subscribers we have. And interview Bob Dylan.